PMAP's AtonisPro-R is a unique, state-of-the-art, AIS simplex repeater station. The AtonisPro-R’s primary function is to extend the AIS coverage for AIS base station networks, or to overcome limitations in radio propagation due to topographical obstacles inhibiting line-of-sight communication. The AIS repeater receives AIS message data from ships within its coverage area and retransmits the received information using RATDMA protocol. The AtonisPro-R is an economical, stand-alone installation that does not require integration with landline or non-AIS VHF communication networks. 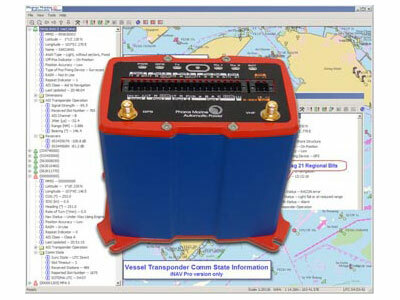 Due to the low power consumption, the AtonisPro-R can be powered by an inexpensive battery/solar panel power system, making it suitable for installations on floating Aids-to-Navigation and at remote sites where electrical power is not available. The AtonisPro-R can also be operated in a dual Repeater/AIS Aton mode with full AIS Aton functionality. Pharos Marine Automatic Power, Inc.
Pharos Marine Automatic Power, Ltd.
© 2018 Pharos Marine Automatic Power Inc. All rights reserved.